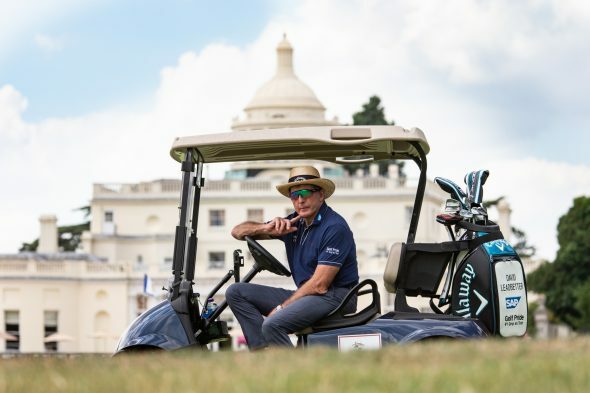 The legendary golf coach David Leadbetter opened his new European academy headquarters at the multi-award-winning Stoke Park Country Club & Spa and described the venue as “one of the world’s premier golf facilities”. Leadbetter, who has coached players to 22 Major championships and more than 100 individual worldwide tournament victories, has more than 30 academies across the globe – with Stoke Park the 13th to open in Europe. Many of the world’s top golf coaches have gone through the Leadbetter Golf Academy certification and Stoke Park’s team of dedicated professionals has been undergoing the training programme. West Sussex-born Leadbetter said: “We’re really excited to open our new academy at Stoke Park. Stoke Park is one of the world’s premier golf facilities, with an amazing hotel, a 27-hole golf course and a great practice facility. “I want to thank (Stoke Park chief executive) Chester King for his vision and everybody involved for making this happen, as this is going to be our European headquarters. We’ve had academies in the UK for some time, but to have a facility such as Stoke Park really is a dream come true. Chris Murtagh, Stoke Park’s head of instruction, leads the facility and his team of teaching professionals have been trained in the Leadbetter philosophy by coaches who have flown in from the USA. Voted the number one golf resort in England, in the inaugural Golf World ‘Top 100 Resorts in UK & Ireland’ ranking in 2017, the historic Stoke Park – one of just two five-AA Red Star golf clubs in England – boasts 27 Harry Colt-designed holes and a thriving golf club with around 850 members.